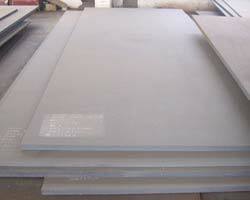 Being one of the reputed Exporters and Suppliers, we are offering Carbon Steel Plates to our customers. Our Carbon Steel Plates are manufactured from boiler quality plates, which ensure of their excellent quality and performance. The consistent and controlled properties of our Carbon Steel Plates allow them to withstand the pressures of boilers, pressure vessels, and valves. Our customers can avail our Carbon Steel Plates in grades including ASTM A 516 GR. 60 ASTM A 516 GR. 70 ASTM A 515 GR. 70 IS 2002 GR. 1 / GR. 2.